Designed with the environment in mind, HP Latex Printing Technologies offer print service providers (PSPs) a compelling new printing alternative for a wide variety of outdoor and indoor applications. Together, HP Latex Inks and HP Thermal Inkjet Technology provide durable, odorless prints; sharp, vivid image quality; application versatility; and high productivity – all of which enable PSPs to increase their print capacity and grow their businesses while reducing the total impact of printing on the environment. HP Latex Inks deliver long-lasting, durable prints that withstand the elements while also providing sharp, vivid image quality that stands up to close inspection. The inks produce great results across a wide range of media – including most low-cost, uncoated solvent-compatible media – and eye-catching, consistent results with Original HP large-format media designed together with HP Latex Inks. 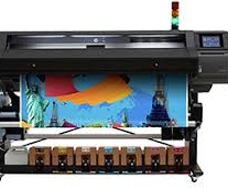 HP Latex Printing Technologies can produce a broad range of outdoor and indoor applications, from point-of-purchase displays, transit signage, wall murals and exhibition graphics to billboards, vehicle wraps and exterior event signage. This outdoor and indoor application versatility gives PSPs more possibilities to meet customer needs. Outdoor prints produced with HP Latex Inks achieve display permanence up to three years unlaminated and are scratch, smudge and water resistant on a range of media. Water-based HP Latex Inks provide many of the benefits of solvent-ink technology without imposing the typical environmental, health and safety considerations. Odorless prints produced with HP Latex Inks emit extremely low levels of VOCs (volatile organic compounds). There is no special ventilation required to meet occupational exposure limits and there are no requirements for air discharge permitting, facilitating an improved printing environment. In compliance with a number of industry-leading certifications, including Nordic Swan, HP Latex Inks do not produce ozone emissions during printing and contain no HAPs (hazardous air pollutants). HP Wide Scan Printing Technology makes it possible to develop new printing systems that can achieve breakthrough print speeds– outdoor quality prints at approximately 800 square feet/hour and indoor-quality prints at approximately 400 square feet/hour. And there’s no manual daily maintenance required. When print service providers reach new levels of productivity, business picks up speed. HP Wide Scan Printing Technology is scalable, high-speed technology. The combination of multiple 4.25-inch (108 mm) printheads and precision media advance control using the HP Optical Media Advance Sensor delivers new levels of productivity. The sensor is a proprietary technology that provides precise and accurate motion controlof media advance between print swaths. 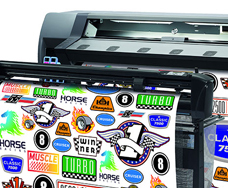 Improved accuracy minimizes or eliminates banding for high-speed, quality printing. • Outdoor prints produced with HP Latex In ks achieve display permanence up to 3 years unlaminated and up to 5 years lami nated and are scratch, smudge and water resistant on a range of media – performa nce comparable to solvent-ink technology. • Indoor prints produced with HP Latex In ks achieve display permanence – in-window up to 5 years unlaminated and up to 10 years laminated on a range of media. • HP Latex Inks together with HP Wide Scan Printheads produce a wide color gamut – comparable to solvent-ink technology – for sharp, vivid image quality. 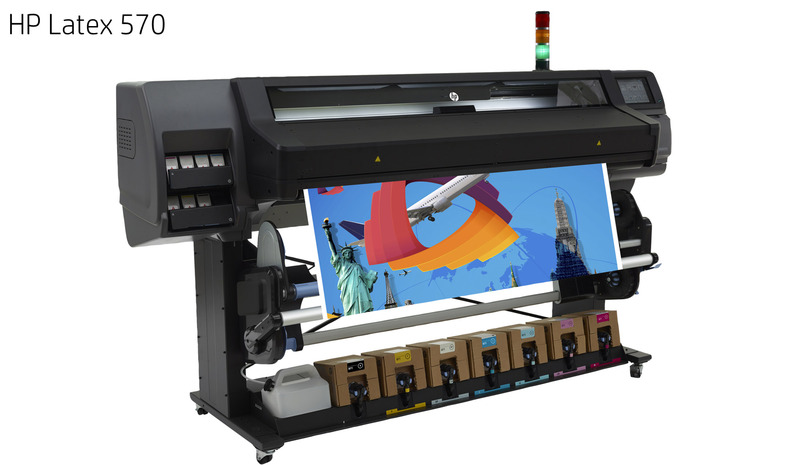 The HP Wide Scan Printhead design also makes it possible to produce high-quality output at fast print speeds, supporting an ink drop size as small as 12 picoliters. 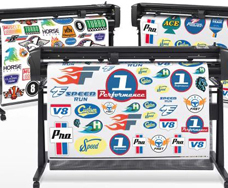 • HP Latex Inks produce odorless prints, (1) providing the best of both worlds. Prints are durable enough for demanding applications such as outdoor display but they lack the noticeable odor that can limit indoor appl ications – a characteristic more typical of prints produced with solvent-ink technology. • A proprietary new HP media surface-treatm ent technology – designed together with HP Latex Inks – produces a wide color gamu t that makes it possible to achieve both durability and sharp, vivid image quality on materials that don’t typically print well with solvent inks, such as woven High Density Polyethylene (HDPE) and Tyvek. • HP Latex Inks achieve the optimum in high-quality, consistent performance on HP large-format media – designed together to work better together with HP Latex Inks. The variety of HP media includes both outdoor and indoor applications and ranges from low-cost, uncoated media to a variety of specialty options. 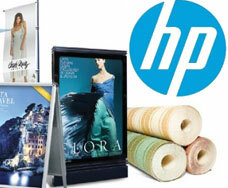 HP large-format media also includes a range of recyclable substrates. • Non-hazardous HP Latex Inks are not cl assified as a hazardous material per transportation requirements, there are no hazard warning labels, and they are not considered hazardous waste. 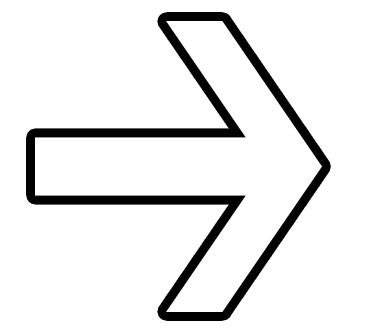 (10) These inks are non-flammable and non-combustible. • Designed to reduce the impact of printing on the environment – an innovative new ink cartridge design uses a recyclable ca rdboard container and reduces materials use. • HP Wide Scan Printing Technology is sc alable, high-speed technology enabled by an arrangement of several HP Wide Scan Pr intheads together with HP’s proprietary Optical Media Advance Sensor. This combinat ion delivers outdoor-quality prints at approximately 800 square feet/hour, indoor -quality prints at approximately 400 square feet/hour. • HP Wide Scan Printheads support a firing frequency of up to 24 KHz. Each HP Wide Scan Printhead contains two colors of ink and 1,200 nozzles per inch or 10,560 nozzles per printhead for the precise, accurate placement of ink on the page at high-productivity print speeds. 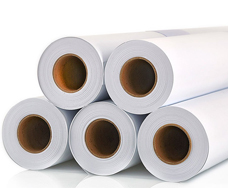 • Unlike printing systems using solvent-based inks, HP printing systems using water- based HP Latex Inks and HP Wide Scan Printheads do not require daily manual maintenance of the printheads. Individual printheads are user replaceable, eliminating the down-time and expense of a service call. HP Latex Inks are formulated to maintain nozzle health to optimize printhead performance, ensuring the reliable operation critical for keeping workflows running smoothly. • HP Latex Inks are completely cured inside the printer to form a durable film on the print medium. Prints come out of the prin ter ready to use, finish and prepare for shipment. • HP designs quality and reliability into ever y innovation. Original HP Latex Inks, HP Wide Scan Printing Technology and Original HP large-format media are designed, engineered and tested together as a system to ensure the reliable operation critical for keeping workflows running smoothly.